Finally! 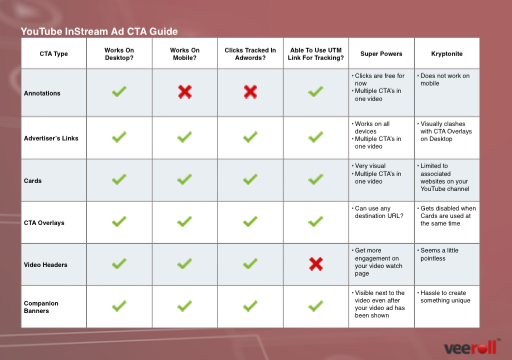 The NEW YouTube Instream Ad CTA’s Explained! About two weeks ago, Google had a major update on their InStream video ad format. At first we noticed a sharp decline in the number of clicks we were getting from our InStream ads. But that was quickly solved by adding some clickable annotations wherever the call to action occurred inside our videos. How to decide which call to action is the right one to choose! And that’s what this article will help you figure out… in detail! It’s human nature… the more options we have to choose from, the harder it is to make a decision! And that’s exactly what we now have with all these new options. Which CTA is easiest and quickest to set up? Which CTA gets the most clicks? Which CTA gets the best conversions? Which CTA is the easiest to track and manage? And that’s exactly why I wanted to write the article – to help you get CRYSTAL CLEAR on how to use these CTA’s for best results for your campaigns. Let’s go through each of the CTA’s in order of (my) preference, and talk about the benefits and drawbacks for each type. Annotations have been around for ages (in internet years that is). And they’ve been extremely useful for driving viewers to your website from your YouTube videos. 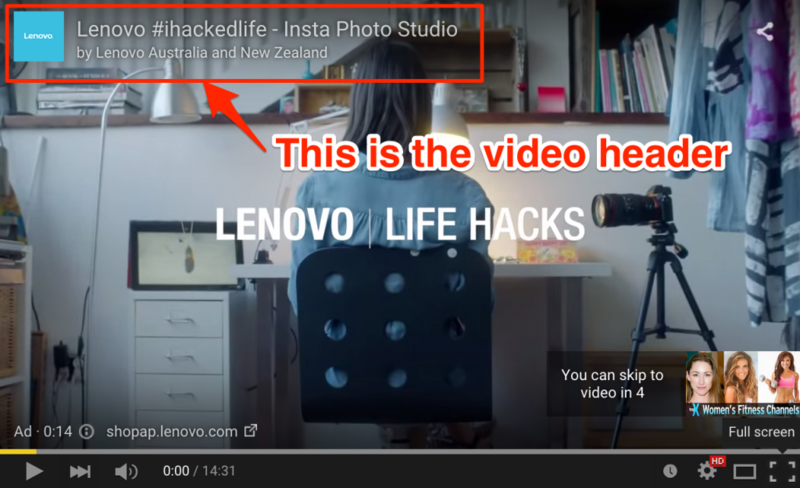 Before the latest InStream changes that happened around June 9, 2015, annotations would not work at all inside YouTube video ads. But now, with this new change, your annotations will show up in your videos when they are run as ads (on desktop only). Catch 1: You can only have ONE associated website per YouTube channel (well actually there IS a hack to add more than one associate website per channel, but I will leave that one for another post perhaps!). No big deal really. If you want to send traffic to more than one website using this method, just create a new channel for each new website that you want to promote. But hey, with over 300 hours of video uploaded to the site, YouTube is kind of a busy place, even if you’re limited to just 50% of the audience! So, even though you may only have access to half the traffic, there’s still a TON of traffic to be had using the Annotation CTA. One really good reason to use annotations for your call to action right now is because, for some reason, clicks on annotations are not getting counted inside Adwords. Even though clicks on annotations are not currently getting tracked inside Adwords, you can still track the clicks inside Google Analytics if you’ve used a UTM link for your annotation link. Just Google “UTM Link Builder” if you want to find out how to track clicks from anywhere using Google Analytics. Using UTM links and Google Analytics has been the ONLY way we’ve been able to prove that clicks from annotations actually do work, even though they don’t show up inside the Adwords interface. The only reason I can think of for NOT using the annotation method for your calls to action, is because they don’t work on mobile. But if you’re cool with that, my recommendation is to use annotations as your first option for calls to action for your video ads… just don’t forget to add your clickable annotation at the call to action part of your video… otherwise you will hardly get any clicks at all! And if you actually want to see proof that you really ARE getting clicks, just make sure you use a UTM link as the link inside your annotation. 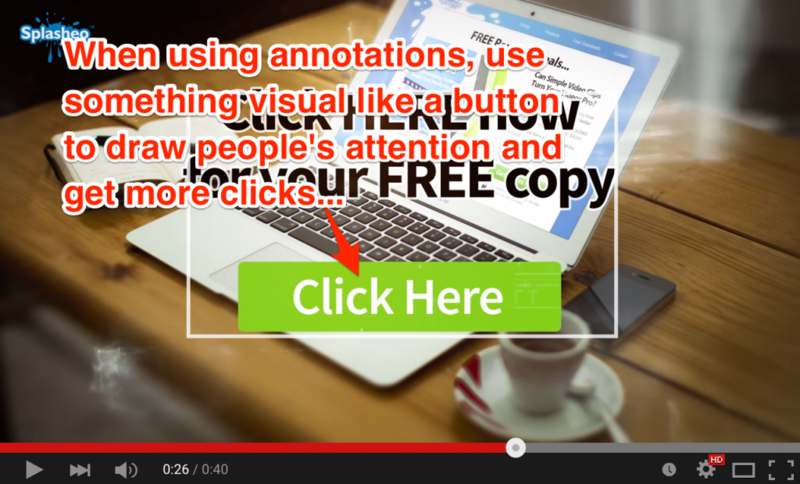 Here’s a quick video that shows you how to create an annotation CTA for your video ad. Having a visual button image like this will naturally draw people’s eyes to your CTA and will definitely improve click through rates. Previously, before the InStream changes, the WHOLE video was clickable when it was run as an ad. And the link used for that was the same link that you would use for your Destination URL (now called “Final URL”) inside the Adwords interface. And on mobile, YouTube has conveniently added the Advertiser’s link at the top right… just to make things more fun! As you can imagine, most viewers won’t even see this little link, unless you clearly point them in that direction. Note: You wont actually see the Advertisers link in the video above, because the video is not running as an ad in the above embed. The Advertiser’s link will work on ALL devices, which means you have access to about double as many viewers as you would if you used the Annotation method. (Please note that our EasyClick templates are only meant for Desktop for now). So, if you want to have a really quick and easy setup for your call to action, AND make sure the clicks automatically get counted inside Adwords (which means now stuffing around with UTM’s and Google Analytics)… then use this method by all means! My only concern with this method is that the Advertiser’s link is SUPER tiny, and kinda hidden in the video player. It’s almost as if YouTube does not want people to actually click on the Advertiser’s link and leave YouTube! That makes sense from YouTube’s point of view, but not so much from advertisers’ point of view! And because the link is so darn small, you gotta do more work to actually get people to click on it. Worse case, some older folks might not even see the link at all! Overall, click through rates will likely be lower than annotations using this method, mainly due to the tiny size of the link inside the ad. But it sure is a lot easier and faster to get setup while also ensuring clicks are getting tracked inside Adwords. Make your call to action super visual and tell people to click on the link in the video player (bottom left for desktop and top right for mobile). That will help increase click through rates. Cards are a wonderful way of making your videos a lot more interactive. The main difference between cards and the other CTA options, is that you can easily add a visual element inside the video that you can change at any time in the future… unlike if you hard baked something like a button into your video during editing. 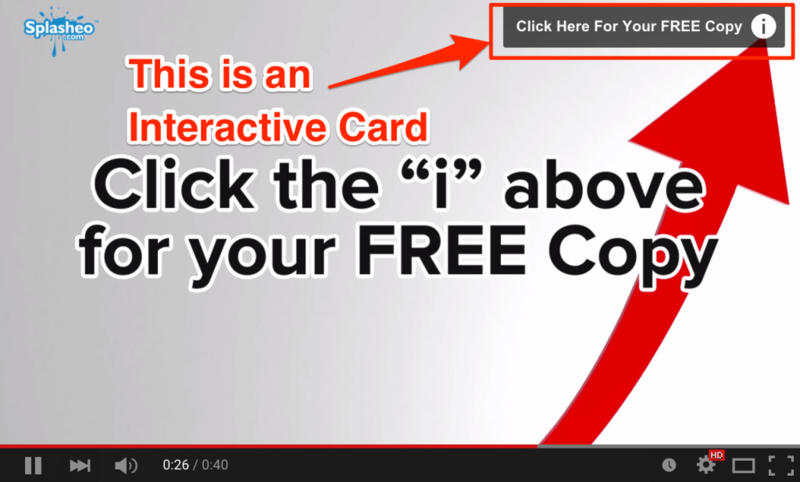 The cards appear at the top right hand corner of your video as a tiny little “i” inside a transparent white circle. But you can also set it to pop out a one-liner bit of text to draw more attention to your cards. Cards are great to use for most cases really. They also work on all devices, unlike annotations. If you have a product image or something visual that will help draw the attention of your viewers, cards is a great option. I can’t really think of any case where you would NOT want to use a card for your call to action. Except perhaps if you are already using one of the other CTA’s. I like the idea of being focussed with your CTA, and not confusing people. So, just keep one type of CTA per video ad. The card pop out text only stays on the screen for a few seconds. If you’d like to have that visual reminder for “longer”, simply add another card as soon as the pop out text disappears for the previous card. For extra effect, use a different image for each card. The Call To Action Overlay has also been around for quite some time. And as far as I can remember, they’ve always worked on mobile devices too. But to honest, I have mixed feelings about this one. For starters, when the CTA Overlay pops out, it kinda competes with the Advertisers link in the bottom left. Also, you have zero control over WHEN it pops out. It just pops out right at the start, stays there for a few seconds, and then minimises to the left hand side for the rest of the video. It expands again of course when you hover your mouse over it. But my main issue with the CTA Overlay is that it completely disappears as soon as you add an interactive card to your video. So really, with cards now available, there does not seem much point to use a CTA Overlay and I think you’re far better off using one of the previous three options. One tiny advantage that CTA Overlays still have, is that the destination URL’s used for them does not seem to get checked by Adwords. So, you’re not restricted to JUST using the link to your associated website here. It seems like you have more freedom here to use another link. I can’t really think of a reason to use CTA Overlays anymore, unless you prefer that over Cards CTA’s. Specifically, don’t bother with CTA Overlays whenever you are using Cards CTA’s, because your CTA Overlay will get disabled whenever you use interactive cards. Kinda silly, but I understand why you don’t want both – too much clutter and it could just confuse folks! 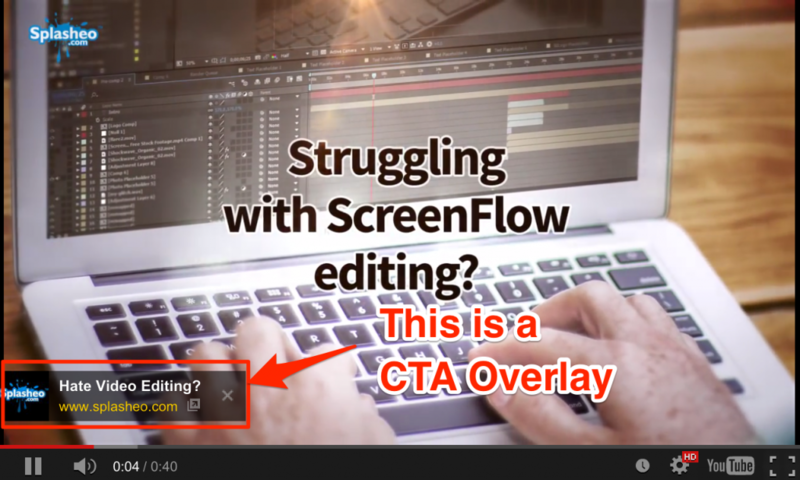 Even though I don’t think the CTA Overlay is a useful way to get clicks (compared to the other methods), inside the video below I still show you how to set it up… just in case you find a good use for it! No supa dupa tip for this one. This is another fairly non-sensible way to get clicks on your video – when you click on this link, it simply goes to your actual video on YouTube. See below for where the link is located. I mean, if your video is running as an ad already, why would you want people to click on the title link of the video to simply just get directed back to the same video, but this time on the video’s own watch page on YouTube? I don’t quite get it to be honest. The only purpose I can think of, is for the case where you actually DO want people to go to the watch page of the video, and then leave comments or like the video or share the video… that kinda thing. But there really are much better ways of achieving the same thing. For example, simply using InDisplay video ads, where, once you click on it, you can get directed to the watch page of the video. 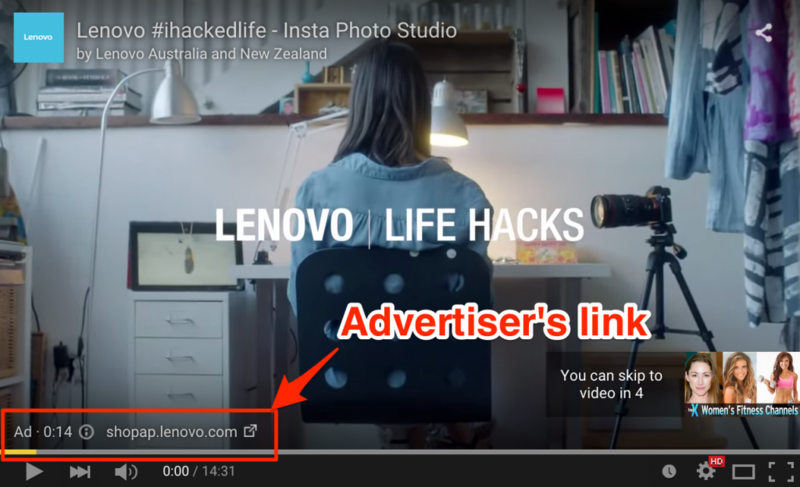 No setup required here – the link shows up automatically on your video ads now. No supa dupa tips here! This one is not strictly speaking a call to action… more like a simple banner really. But I wanted to include it for the sake of completeness. Whenever someone clicks on this banner, they will get directed to whatever Destination URL (now “Final URL) you used when you created your campaign. One cool feature about the banners is that they stay visible even after your video ad has shown. So, while the viewer is watching the video they originally came to see, your banner ad will still be showing there, right next to the video! Since you’re getting extra real estate for no extra charge, you might as well use this for each video ad that you create… if you have the time that is. My understanding is that you will still pay for any clicks on these banners, unless you’ve already paid for the view, or another click on any of the other calls to action previously (excluding annotations of course!). When you’re lazy or in a hurry and just want to get your video ad out there as quick as possible without creating extra graphics. The good news though is that Adwords will automatically create a “banner” FOR you if you don’t upload your own banner. They create the banner based off your existing videos in your YouTube channel. Create your banner in such a way that it supports your video ad. In other words, make it look similar to your video ad with the same branding and colours, and also re-enforce the same message that you have in your video ad. Got any more questions about any of the CTA’s and how to use them? Just ask inside the comments area below! PS: When you become a Veeroll member, you’ll get instant access to all our video templates that help you take advantage of the different CTA’s. At the moment, we have templates that work really well for annotations, the bottom left advertisers link, and also very soon, templates for interactive cards. If you’d like to find our more about Veeroll video, click here.